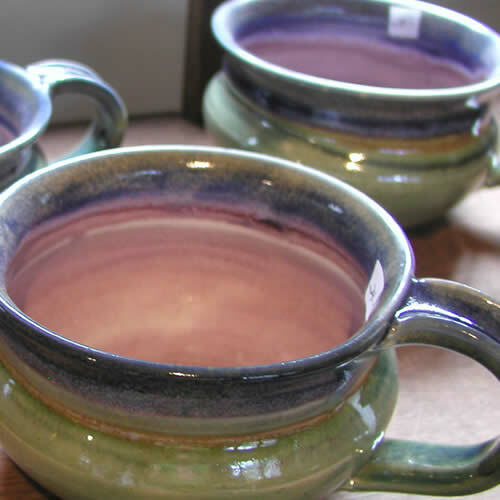 With over 35 years in business, Nancy's pieces are high quality works of functional art. 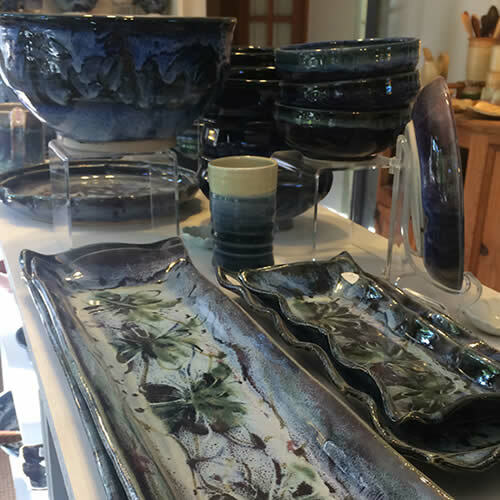 Visit the showroom to see what's new from her kiln. 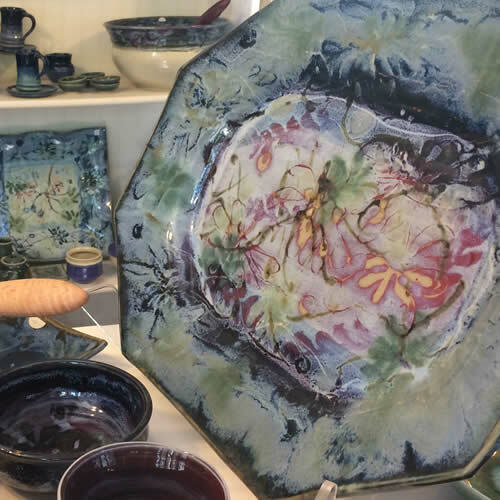 Owner, artist and teacher Nancy Kemp-Soucy, who has been throwing forms for over 35 years, has a traditional style, but uses glazing and decorating techniques – like relief carving – that make her fully functional pottery pop. 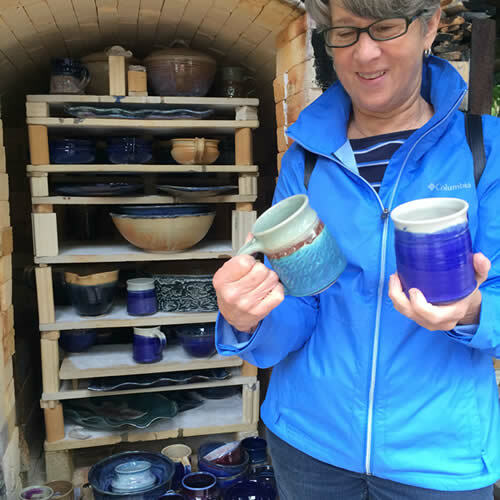 Inspired by the environment, Nancy’s passion for gardening and coastal landscapes shows in her work. 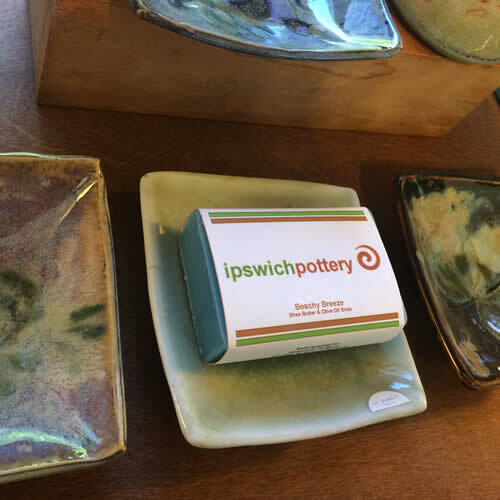 I have established my new studio, Ipswich Pottery, which is located next door to the former Ocmulgee Pottery. 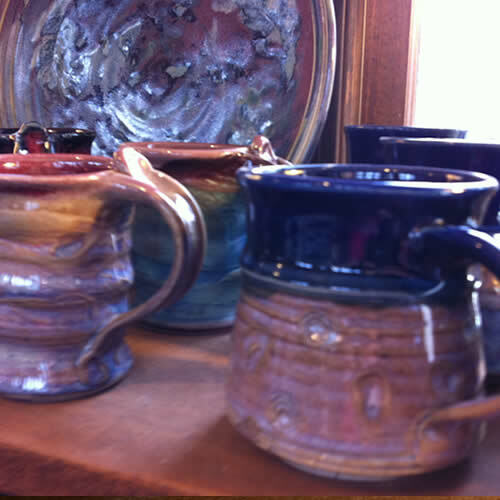 I'm involved with the clay community in my area through the North Shore Clayworks and the New Hampshire Guild of Potters. 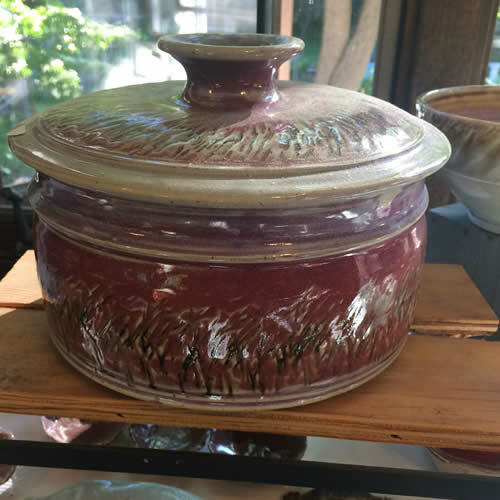 I was introduced to the world of claywork in 1968 when visiting the university of New Hampshire ceramics department with a friend. 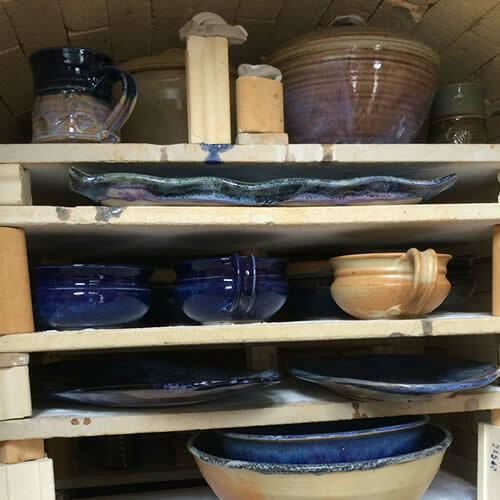 That one visit was the beginning of my devotion to this comforting activity of making functional pots, a devotion that has continued for 30 years. 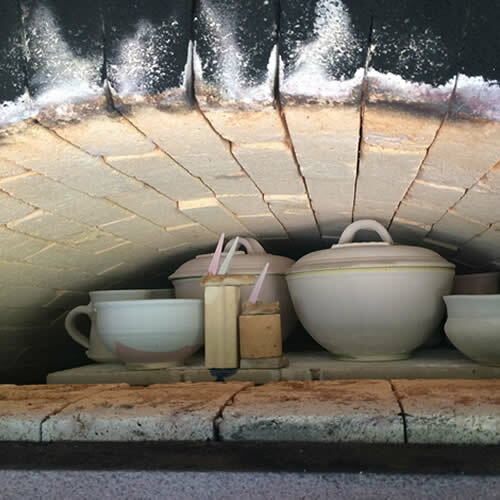 Most of these years were devoted to creating Ocmulgee Pottery of Ipswich Massachusetts. 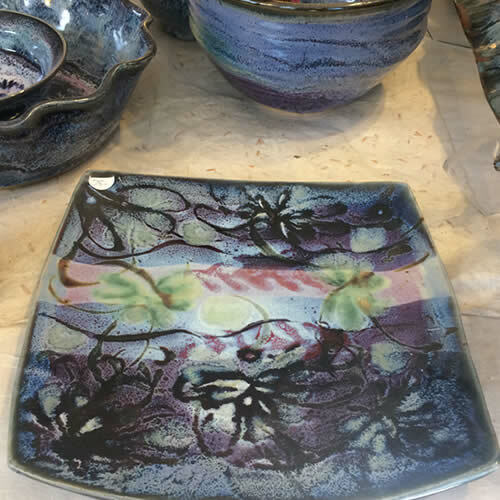 Ocmulgee Pottery was the largest pottery showroom and ceramics teaching studio on the North Shore of Massachusetts until 2005 when Ocmulgee Pottery closed. 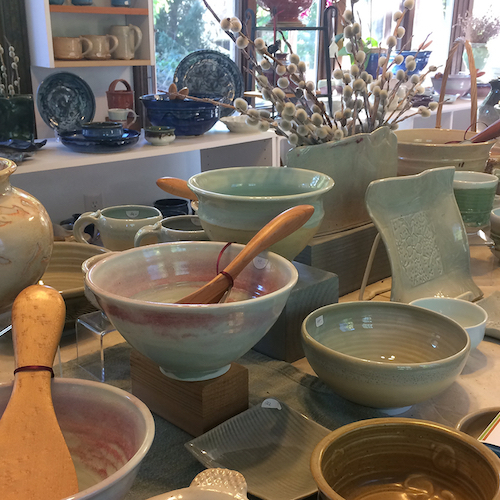 Many months were required to complete my new studio and showroom and now I am fully up and operational as Ipswich Pottery. 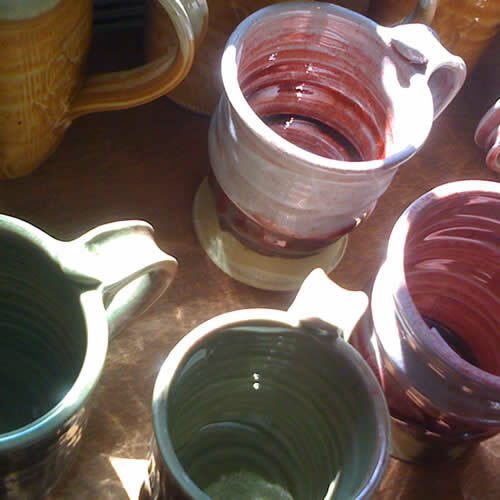 To create one of a kind utilitarian pottery, I primarily use porcelain clay. 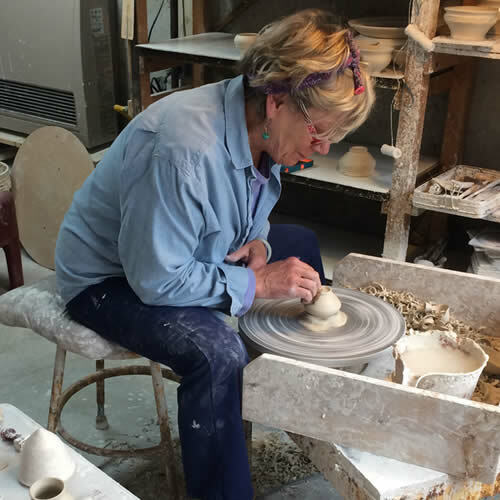 My work reflects a traditional nature and I am often inspired to alter my shapes to achieve a quiet liveliness. 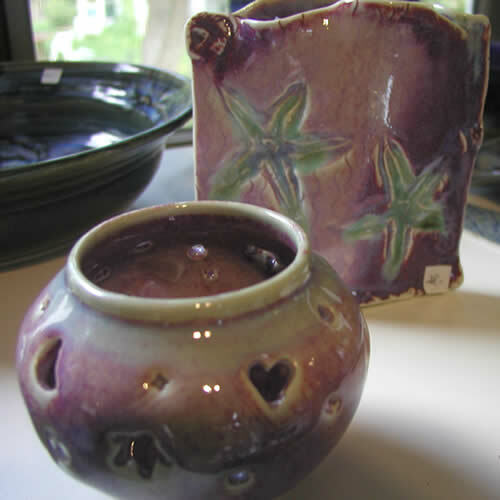 My approach in glaze application can range from subtle, gentle hues to rich, elaborate, multi-layered application. 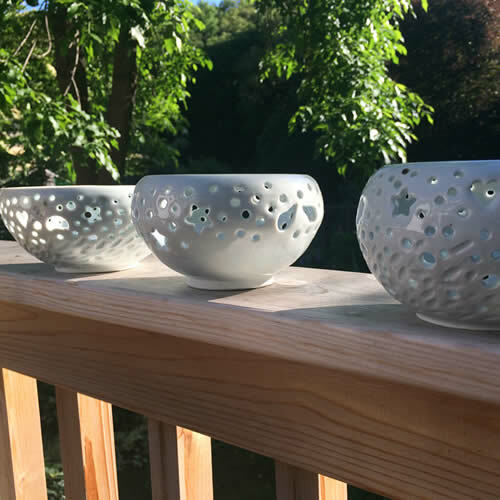 Often you may see surfaces representing plant life and landscapes, depicting my love of gardening and the ocean which surrounds and provoke me. 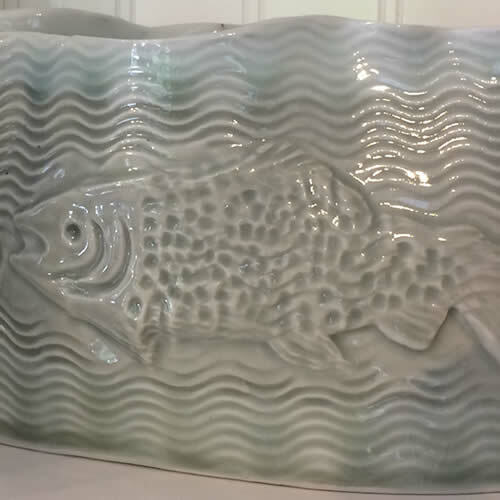 Copyright Ipswich Pottery. 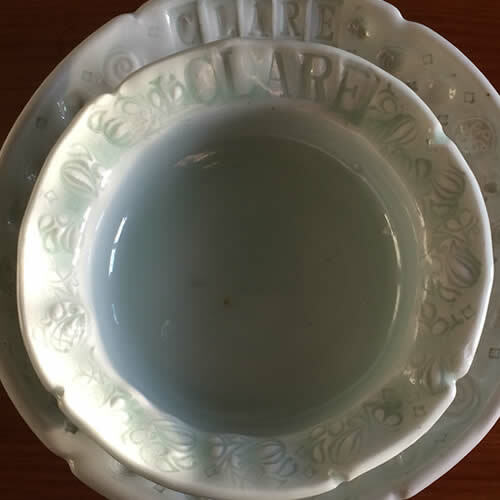 Made by MDG.